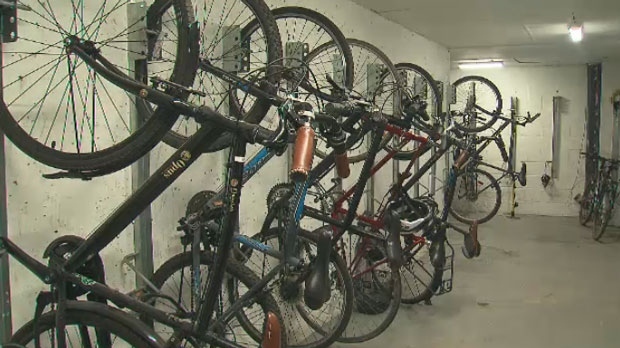 Residents of Toronto condominiums say they have been warned by management that locked bicycle rooms are being targeted by thieves. Jenny Gilbert is an avid cyclist who has had two bikes and a seat stolen from her condominium underground garage over the last two years. The most recent theft took place in April. Surveillance footage shows two people worked together to acquire the bike. One of the suspects distracted the concierge while the other followed a car through the garage door of the building. They then gained access to the second floor, where Gilbert’s bicycle was parked and secured with a $100 lock. Gilbert said she was “devastated” when she learned her second bicycle had been stolen. “I was following the condo regulations by not bringing the bicycle up to our terrace and parking in the designated area. I invested in a very high-quality lock,” she said. David Milne of Gears Bike Shop in the Canary District says at least two customers come in every week saying that their bikes have been stolen. “More bikes get stolen from condos than any bike shop I’ve ever worked in, which is crazy,” he said. 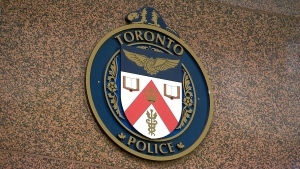 Gears Bike Shop recommends that all cyclists register their new bikes with Toronto Police. But even if a bicycle is registered, Gilbert said bicycle theft is low on the police’s priority list. She said an officer told her that she will never see her bike again. Gilbert says the best preventative measure would be to not let strangers into a bike room or parking garage, even if they themselves are holding a bicycle. She said she witnessed someone trying to gain access to her condominium garage using this method. The person, who was riding a bicycle, asked her to hold the door for him, but she refused. She said the person left the area when security approached him. Gilbert has launched a petition asking the City of Toronto to address the issue of “rampant theft of bicycles in Toronto.” She hopes to send the petition directly to the mayor when she gets enough signatures. Bicycles are locked in a condominium garage in Toronto.